Homebuyers who are considering a VA loan, but have questions, have come to the right place. Applying for a mortgage can be complicated enough even without adding a VA loan to the mix. With so many steps, the VA loan process can sometimes feel overwhelming. In reality, the process can run smoothly if you know the basics and find a lender who’s knowledgeable and can walk you through it. What benefits do VA loans offer? What are VA loan requirements? For eligible folks, VA loans can be the key to homeownership. In 2018, 610,512 VA loans were made with an average loan amount of $264,197. In total, the VA was responsible for $161.3 billion in mortgages last year. Here we break down what a VA loan is and how it can help you. A VA loan is a mortgage that is made by private lenders, but partially backed by the Department of Veterans Affairs. There are no limits on how much you can borrow, but there are limits on how much the VA will guarantee. One of the benefits of VA loans, also known as Veterans Affairs mortgages, is that they consistently offer lower rates than traditional bank financing, according to Ellie Mae. Eligible borrowers may only use VA loans for their primary residence. You can’t finance an investment property or vacation home with a VA loan. The main draw of a VA mortgage is that they make it easier to get financing by offering no down-payment loans and more lenient credit and income requirements than conventional mortgages. Once you have your certificate of eligibility or COE, you can apply for a VA home loan. What are VA entitlements and why are they so important? The VA guarantees a portion of your mortgage via “entitlements.” There are two types of entitlements offered to eligible veterans: basic entitlement and bonus entitlement. The basic entitlement is $36,000 or 25 percent of the total mortgage if you default; you would get the lesser amount of the two. Generally, lenders will loan four times this amount, so you can think of the basic entitlement as a 25 percent down payment on a $144,000 home. However, you don’t have to use the full entitlement. As home values continue to tick up, most homebuyers are faced with price tags in excess of $144,000, or the max loan amount for basic entitlement. This is where the bonus entitlement kicks in. In 2018, the median sales price for a home hovered around $315,000, so for most VA buyers, the bonus entitlement is necessary. This is also called a second-tier entitlement. The VA uses the national conventional financing conforming loan limit set by the Federal Housing Finance Agency, or FHFA, to establish the bonus entitlement amount. The FHFA boosted loan limits in 2019 to $484,350. In high-priced areas, the ceiling is higher at $726,525, or 150 percent of $484,350. Homebuyers can check loan limits in their area here. The VA usually covers 25 percent of your loan amount, so eligible borrowers would get 25 percent of $484,350, which is $121,087. Then the VA subtracts the basic entitlement, which is $36,000, from the $121,087, leaving borrowers with a total of $85,087 in bonus entitlement money. Keep in mind, lenders will generally loan VA borrowers four times the amount of the entitlement. This means you would multiply $85,087 by four, which is $340,350. Finally, you would add the $144,000 VA loan limit from your basic entitlement to the $340,350 sum which gives you a total loan limit of $484,350 — the same as the national conforming loan limit. For homebuyers in high-cost states, the entitlement amount is larger. In counties with higher limits, the VA will guarantee 25 percent of a maximum $726,525. If your mortgage exceeds that limit, the VA won’t cover it. That means on a $900,000 home in a high-cost area, the VA will only back 25 percent of $726,525. It is possible to use your entitlement more than one time. This depends on several factors such as how much entitlement you have left (you don’t have to use all of it when buying a house), mortgage amount and county loan limits. The goal of VA loans is to help veterans become homeowners no matter where they live, so don’t let a costly housing market or a prior VA loan deter you from exploring this option. It’s important to note that getting a COE doesn’t mean veterans qualify for a mortgage — these are two separate processes. Once you qualify for a COE, you can shop for a home loan. 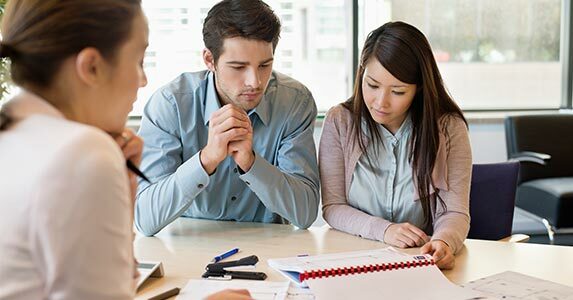 However, you still have to meet lender requirements which include things like income verification, credit (FICO) score, and debt-to-income ratio. Unlike other low down-payment mortgage options, a VA loan doesn’t require private mortgage insurance. Federal Housing Administration (FHA) loans and conventional loans with less than 20 percent down require PMI, which can end up costing the borrower thousands over the life of the loan. The benefit translates into significant monthly savings for VA borrowers. For instance, a borrower who makes a 3.5 percent down payment on a $200,000 FHA-insured mortgage would pay $100 a month for mortgage insurance alone. A borrower in the armed forces getting a VA loan for the first time, with no money down, would pay a fee of 2.15 percent of the loan amount. The fee is reduced to 1.25 percent of the loan amount if the borrower makes a down payment of 10 percent or more. Reservists and National Guard members normally pay about a quarter of a percentage point more in fees than do active-duty members. Can existing VA borrowers lower their interest rates? The Interest Rate Reduction Refinance Loan (IRRL) gives existing VA loan holders the opportunity to get a lower interest rate. This option requires borrowers to refinance their current VA loan into another VA loan. The advantage of the IRRL is that credit and appraisal underwriting packages are not required. Additionally, you won’t have to pay cash out of pocket for an IRRL. It’s structured so than any fees are rolled into the new loan or the interest is adjusted so that the lender’s costs are covered. Are there VA loan home occupancy requirements? 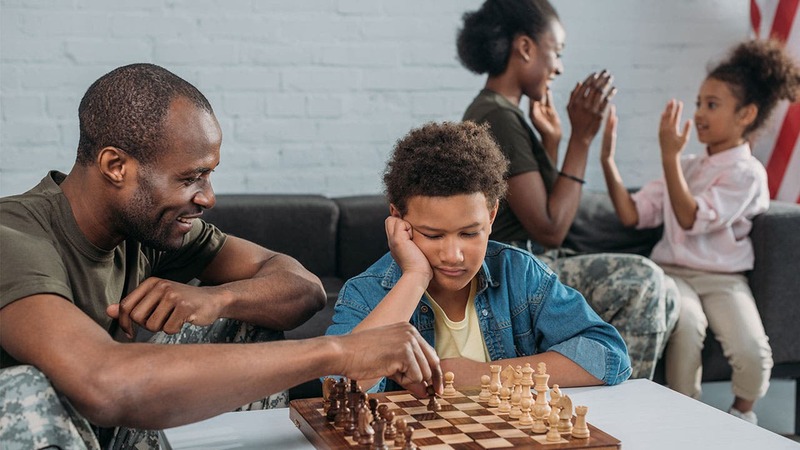 VA loans typically require borrowers to move into their home within 60 days of purchase and to use it as their primary residence. However, exceptions can be made depending on the circumstances, says Chris Birk, director of education at Veterans United. 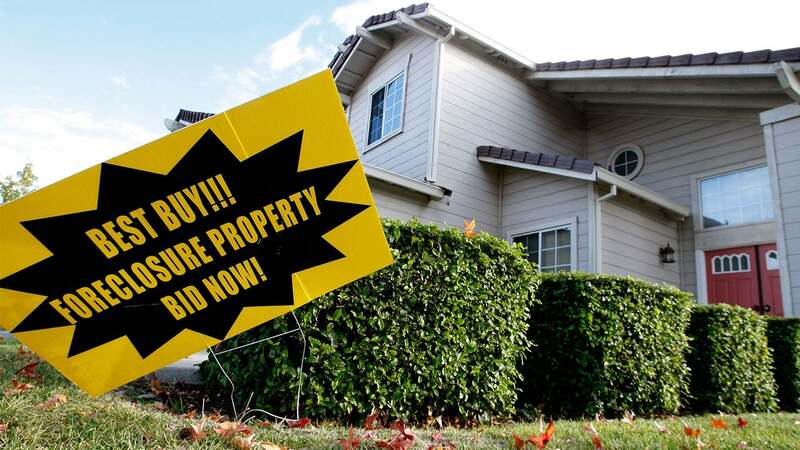 “Lenders will evaluate occupancy scenarios on a case-by-case basis. 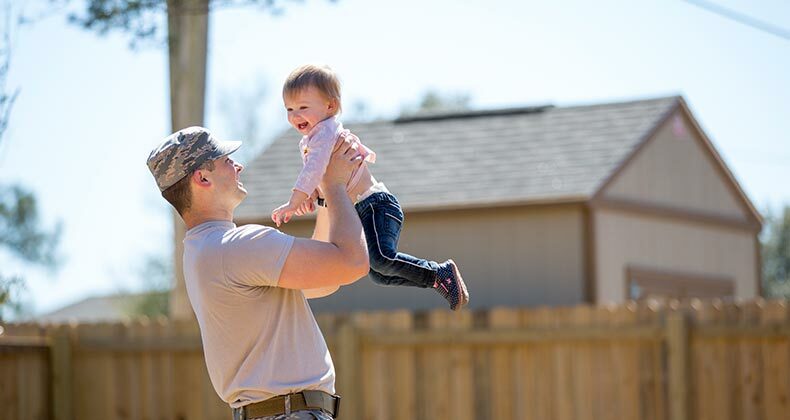 For active duty service members, a spouse can fulfill the occupancy requirement when the military member cannot. A service member’s minor child can also satisfy occupancy in some cases,” Birk says. 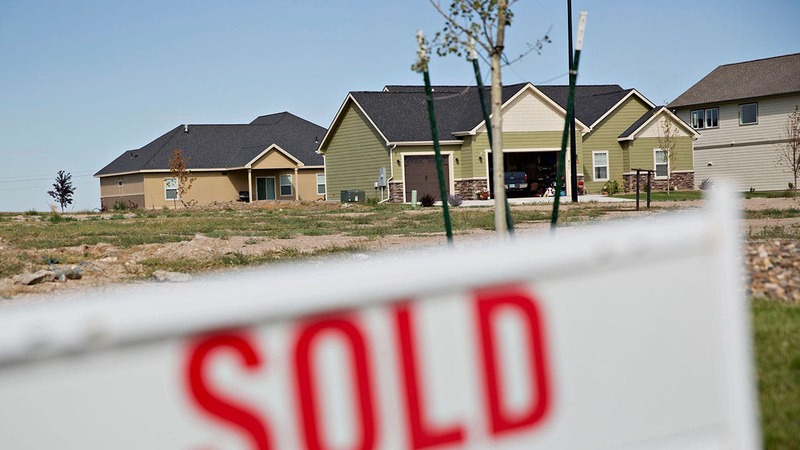 Borrowers can’t use VA loans to buy investment properties or second homes. What are VA loan underwriting requirements? The VA doesn’t require a minimum credit score for a VA loan, but lenders generally have their own internal requirements. Most lenders want an applicant with a credit score of 620 or higher. Borrowers must show sufficient income to repay the loan and shouldn’t have a heavy debt load, but the guidelines are usually more flexible than for conventional loans. What are VA loan amount limits 2019? The limit on VA loans varies by county, but the maximum guaranty amount for 2019 is $484,350 in most US counties and up to $726,525 in certain high-cost areas. Another advantage of a VA loan is the assistance offered to struggling borrowers. If the borrower of a VA loan can’t make payments on the mortgage, the VA can negotiate with the lender on behalf of the borrower. VA’s financial counselors can help borrowers negotiate repayment plans, loan modifications and other alternatives to foreclosure. Regardless of whether they have VA loans, veterans who are struggling to make their mortgage payments can call (877) 827-3702 for assistance. Before you can apply for a VA loan, you must prove you are eligible. Applicants must get a Certificate of Eligibility (COE). You’ve served 181 days of service during peacetime. You’ve served 90 days of service during war time. You’ve had six years of service in the Reserves or National Guard. You are a surviving spouses of a service member who died in the line of duty. Request a COE from your lender. Lenders have access to a database which can produce your COE within minutes. Apply for the COE online at VA.Gov. You’ll have to log into your account and navigate to the COE application page. Mail in your application. Print out this form, fill it out and include applicable proof of eligibility. DD Form 214 – This must include a copy showing the type of service and the reason for leaving. An up-to-date statement of service signed by the adjutant, personnel office or commander of the unit or headquarters. It must include your name, Social Security number, date of birth, entry date of active duty, duration of lost time and the name of the command providing the data. An NGB Form 22, report of separation and record of service for each period of National Guard service. An NGB Form 23, Retirement Points Accounting and proof of the character of service. A copy of your latest annual retirement points statement and evidence of honorable service. You must include the veteran’s and surviving spouse’s social security number on the 26-1817 form. You must submit VA form 21-534. You must submit form DD214 (if available), which proves discharge orders. Include a copy of your marriage license. Include the death certificate or DD Form 1300 – Report of Casualty. Find a VA lender. You can do this by searching on the VA website, getting recommendations from friends or doing your own research online. Be sure to shop around for the best offer, as lender’s terms vary. Apply for the VA loan through the lender.